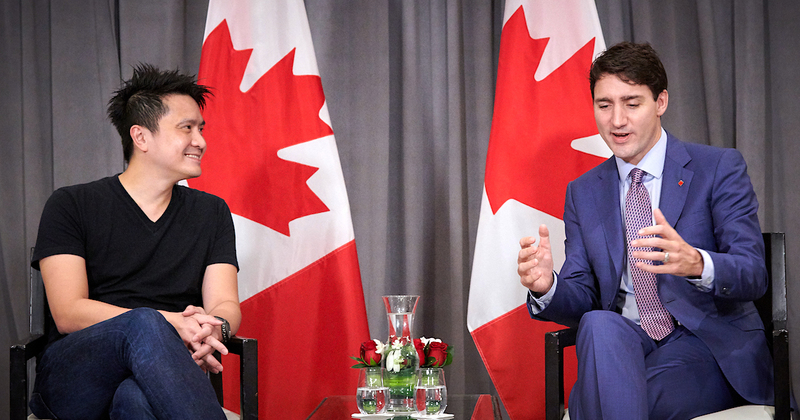 Razer CEO Talks Games, E-Sports And Fintech In Canada With Trudeau - Promises "More Exciting News"
Leaders of all 10 ASEAN members and key partners from outside the region have gathered in Singapore this week for the 33rd ASEAN Summit and several related meetings. On the sidelines of this ASEAN Summit, Razer CEO Min-Liang Tan posted on his Facebook page his meeting with Canadian Prime Minister Justin Trudeau. According to Razer, the two parties had a “positive conversation” about games and e-sports development and fintech innovation in Canada. Beyond this, they also talked about how using these platforms can help to better engage today’s youth. The exact details of the discussion weren’t revealed, but Razer promised that it has “more exciting news to share in the near future”. Tan also presented Trudeau with a small gift: a customised Team Razer jacket, as well as some Razer peripherals and souvenirs, which left many Razer fans feeling envious. Some fans also speculated that the “exciting news” might refer to a possible store opening in Toronto. What do you think it might entail?